How Much Does It Cost To Sell A House? Closing Costs Etc. Very few homes that are owner-occupied are in a ready to sell condition at any given moment. In other words, no matter how new or how nice your house, there are probably some things that should be addressed before putting it on the market. Even if their aren’t large repairs to be done, spending a little for home staging can make sure you are maximizing your home’s value. The costs here can vary greatly depending on the condition and age of your home. However, you should know that virtually all the problems with your house will be discovered during the buyer’s inspection. Typically the next step is that the buyer would use the maintenance needs of your home as leverage and ask you to pay for the repairs or lower your selling price to offset the costs. In most cases, it makes sense to go ahead with doing the repairs that you know need done prior to putting your home on the market. This will allow you to present a home that looks fresh and has less surprises for the buyer down the road. It is common to get “familiarity blindness” to many issues around your home. This means that you may have had peeling paint and a broken door for so long that you don’t even notice it any more. It has become “normal” to you and if someone asked you to list the issues with your home you may be so familiar with that problem that you don’t even think of it! For that reason you should solicit 3rd party feedback from your Realtor or someone else you trust to point out any maintenance issues they see. You can bet that if they notice it, a prospective buyer would as well. Beyond the costs of basic repairs and maintenance items, you should also keep an open mind for making certain upgrades to your home. We’ve all heard it said that “kitchens sell homes” and there is a lot of truth to this. Kitchens tend to be places where people spend a lot of time, particularly when they have children, and seem to function as the heartbeat of the home. This is important because if your kitchen is severely dated, this will impede your path to selling your home quickly and for the most money. And end buyer tends to want something that is move in ready, so it may make sense to do some kitchen upgrades. What kind of upgrades should I make? That is the big question. What you need to know is what comparable homes are selling for nearby. This is key because in a neighborhood with $100,000 homes, a $40,000 kitchen upgrade isn’t going to make sense. You’ll have a very difficult time recouping that money because that isn’t what buyers in your neighborhood are expecting. Here is a great article on this very topic. Another upgrade you should consider for not just the kitchen, but the entire interior of your home is fresh paint. First, this can cover up a bunch of scuffs and wear marks that are present with just the stroke of a brush. The second thing is that you can give a nice neutral, modern color that will really make the home feel more inviting to a buyer. According to a “HomeGain Prepare to Sell 2009 national survey, the average price to paint interior walls is $500 to $750, but that increases a home price by an average of $1,500 to $2,000 — which can be a 250 percent return on investment.” This quote was pulled from a story by AOL which also includes some guidelines for which colors to use in your home if you really aren’t sure. Click here to see that article. We reached out to many professional home stagers around the country for our expert round-up on the topic. In the process we learned quite a bit of information about what kinds of things you can do to “stage” your home. If you aren’t familiar with home staging, it is the art of making your home look its absolute best in order to help it sell more quickly and for the most money. If you think about it in the context of buying a used car, if you looked at 2 different 2001 Corollas and one was freshly detailed with a pleasant scent and the other smelled like a gym locker with garbage on the floor – which would you buy? Assuming all other things being equal, our first instinct would be to buy the detailed Corolla. In part because your emotions are a part of the process. It is much more pleasant to imagine yourself driving this pristine used car than one that looked dirty and smelled bad. These emotions most certainly affect the buying decision. 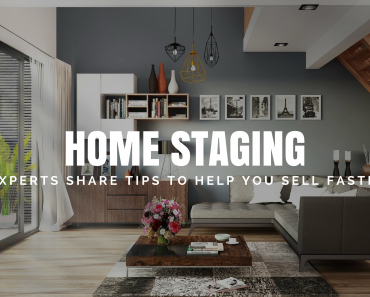 So properly staging your home helps it make buyers walking through feel good about the place and gives confidence that you’ve maintained it over the years. What you pay a home stager really depends on what they do for you. Many offer a walk-through consultation which may cost $100 – $300 to get their recommendations. Obviously the costs go up from there if they are doing more work, including replacing or refinishing furniture. We talked about cost of painting earlier, which may be $500 – $1,000 as a rough estimate. De-cluttering could also come at a cost. If you don’t have anywhere to put your stuff, you might have to pay for temporary storage. According to Bloomberg, storage company PODS says its 7-foot container holds up to one room’s worth of furniture and stuff. The average cost is $170 to $193 a month per container, with a delivery and pickup fee of $50 to $75. All in all, some of the cheaper things like de-cluttering and deep cleaning are going to make the most difference to your bottom line. In fact, the chart below from HomeGain shows the best DIY home improvements from an ROI perspective. Click on the image for more details. As you can see, some home improvements can make a big difference in how quickly you’ll sell your home and for how much. When you sell a home, closing costs are inevitable. It seems like there is a fee for just about everything when you see all of the line items. However, the biggest expense typically is the commission that you pay the real estate agents involved in the transaction. Typically this is about 6% of the sale amount. When you are considering selling your home, your real estate agent can work through a “net sheet” or a breakdown of about how much you can expect to end up with after you pay off your mortgage and any other closing costs.